Langford residents J Scott (from left) and Corinne Marley are joined by Central Saanich resident Norm Ryder and Colwood resident Sharon Noble to discuss a new petition Scott is circulating online relating to the installation of microcell transmitters on utility poles around the region. 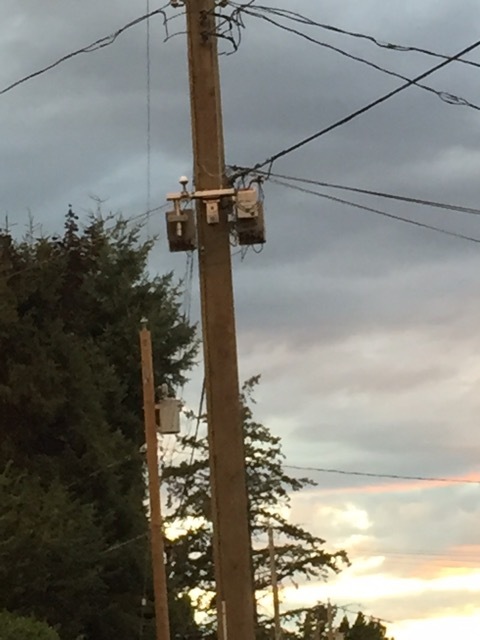 Langford resident J Scott and a number of her neighbours on Fairway Avenue took the step of petitioning Telus to remove a microcell transmitter installed on a utility pole on their street. But roughly a month after Scott forwarded that petition to the corporation, she said Telus crews were back to install another transmitter further down the road. She went down the list of Telus representatives she had spoken with in the past, calling every number and supervisor she could find. Eventually, she said, the technicians working on her street received a call from a supervisor and were apparently told to stop what they were doing. A bracket and some wiring remain on the pole where crews were working, but the transmitter was not installed. Corinne Marley, another resident on Fairway Avenue, has switched her service provider in the meantime. When Telus contractors started installing the fibre optic line on her street, Marley specifically asked workers what the transmitter was – not knowing at that time. After doing some research and speaking with Scott, Marley said, “I’m very clear on what it is now and it’s not a smart meter.” But she still wanted to hear from Telus, so she could make an informed decision with information from both sides of the debate. After speaking with different Telus representatives, Marley noted, “they told me not to worry about it because the way it was pointed, the signal was going down the street.” But she claims to have had a hard time getting any specific information from Telus about the device, or answers to her concerns about its safety. A spokesperson for Telus takes issue with the residents’ characterization of how they’ve been handled by the company. “It is both unfair and untrue to suggest that we aren’t listening to the concerns of residents who have contacted us,” said Richard Gilhooley. He said the company has reached out to Fairway Avenue residents by mail to address their concerns, and has provided information about the safety and regulatory oversight of microcells. He noted representatives have also spoken to several residents by phone about their concerns. 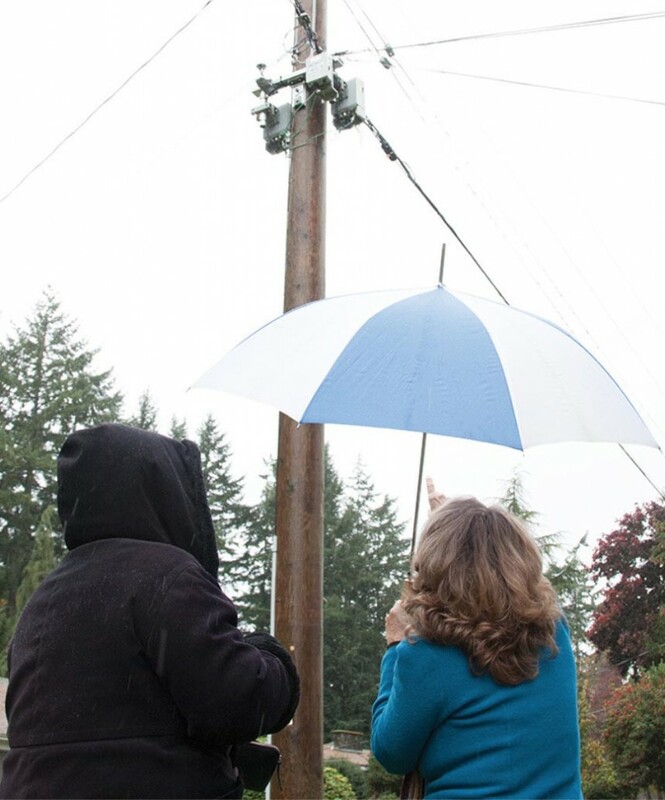 “While these residents may not like microcells, the reason we’re doing this is in response to increasing local demand for wireless service in Langford and the surrounding areas,” he said. Telus’ first priority, Gilhooley added, is to place such equipment on existing infrastructure instead of constructing new wireless towers. He reiterated the technology is safe and overseen by Industry Canada and Health Canada.